Rochelle Eulah Eileen Humes is a British singer and TV presenter from London. She is best recognised for being a member of the girl group, The Saturdays from 2007 to 2014. They scored a record of thirteen top 10 singles in their peak including tracks such as ‘Up’ and ‘What About Us’, which featured reggae artist Sean Paul. Before this, she achieved a level of success with the pre-teen group S Club 8 – they managed to climb up the charts with singles like ‘Sundown’ and ‘One Step Closer’. 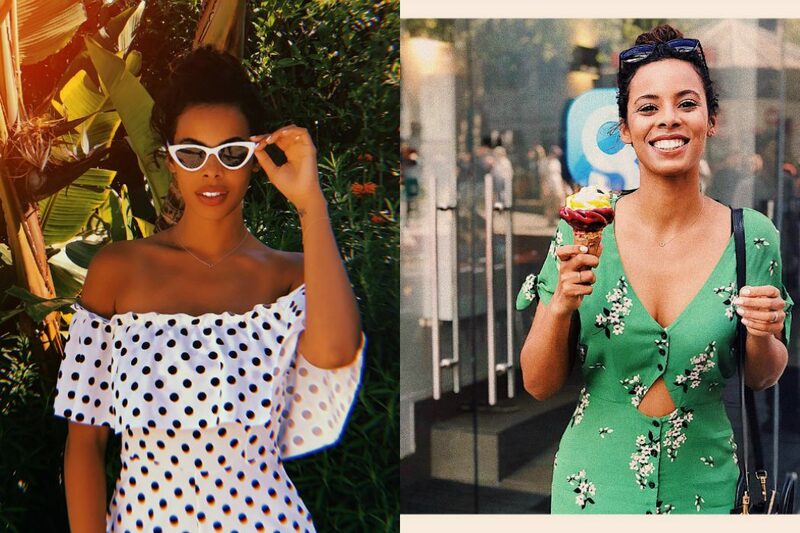 Following her break from music, Rochelle has moved on to present numerous high-profile television shows including the likes of The Xtra Factor and more recently, Ninja Warrior UK. She has also created clothing lines for retailers Very and New Look. Rochelle is known for her bold and colourful style! Come with us as we check out some of our favourite fashion and eyewear looks from the star down below. Rochelle is sporting a glorious outfit for the recent hot weather, featuring pieces from her clothing line with New Look. She is wearing a white and black polka dot dress with a bardot style neckline which is so cute – we love the subtle ruffle detailing. To accessorise, she has added a dainty necklace and a pair of bold cat eye specs to jazz things up. 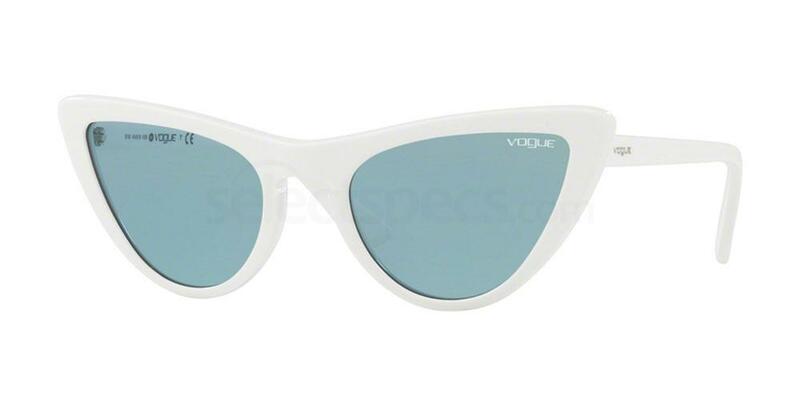 Check out this pair of similar Vogue VO5211S examples from our varied online eyewear store. Mrs Humes looks fabulous in this bohemian style outfit. She is rocking a matching floral two-piece, which is subtle yet stylish. Matching sandals help to pull the look together. A tan coloured handbag, simple jewellery and a pair of oversized specs complete the ensemble – we love the 70’s vibe! Take a look at this pair of similar Kate Spade LAMONICA/S examples from us here at SelectSpecs. Humes is wearing an outfit consisting of a blush pink bralet top and a pair of multi-coloured striped trousers – so cool yet casual! To match, she has added a stripy headband to the look – we love the co-ordination here. 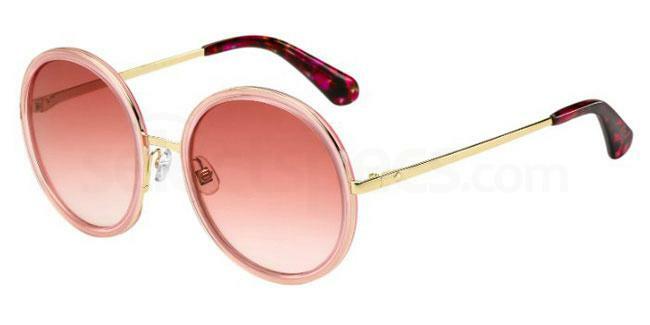 She is also sporting a fabulous pair of rounded sunnies, which we adore. 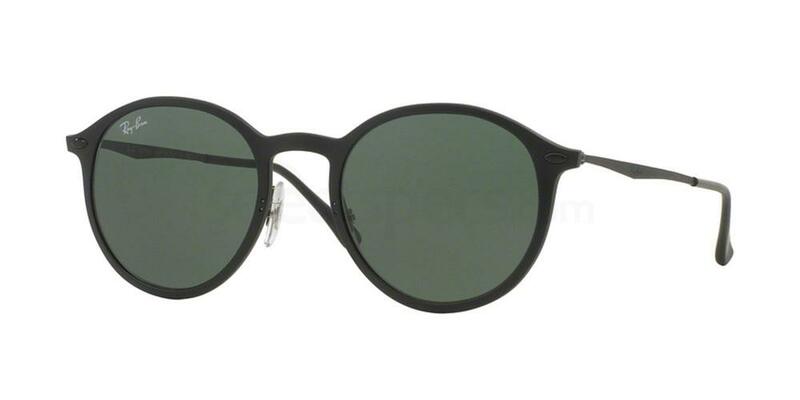 Steal Rochelle’s style with this pair of similar Ray-Ban RB3592 options from SelectSpecs. Rochelle is rocking a pretty green buttoned down dress, featuring a feminine Oriental floral print all over – so sweet! We love the subtle cut out section at the front, which adds a hint of sexiness to the ensemble. She has chosen to style it up with all-black accessories, such as this simple shoulder bag and these retro rounded sunglasses. We also adore the minimalistic jewellery pieces featured within this outfit. 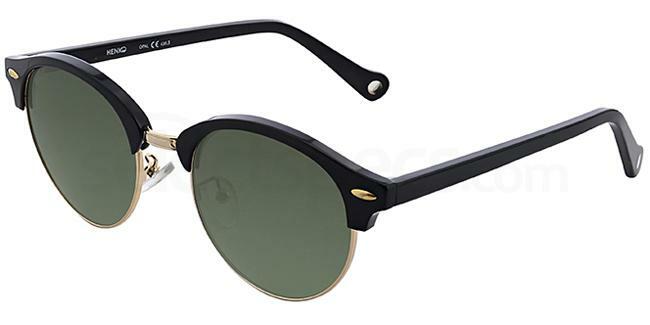 Get Rochelle’s look with these similar Ray-Ban RB4224 ROUND LIGHT RAY examples from us. Mrs Humes is casually rocking this cute ensemble, courtesy of New Look. She is wearing a blue and white striped dress in this Instagram shot, which features a bold squared neckline – perfect for this spell of hot weather! 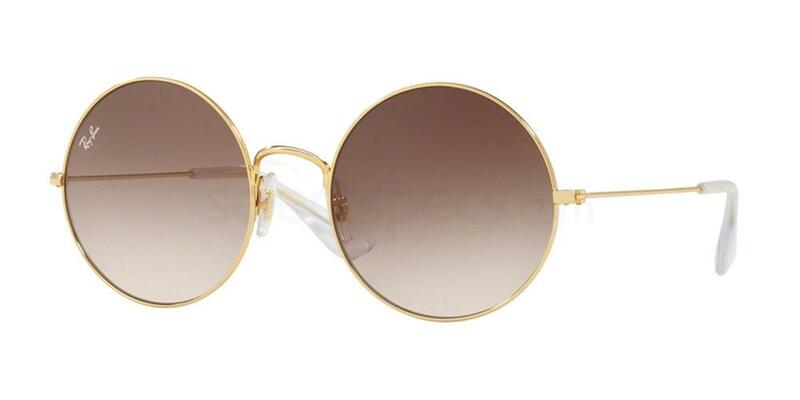 She has paired the look with these classic rounded sunnies, which definitely look the part. Steal Rochelle’s style with this pair of similar Henko POAS081‘s from SelectSpecs. If you thoroughly enjoyed reading this celebrity inspired post, be sure to take a look at ‘The Saturdays’ Mollie King: Steal Her Style‘. Style Steal: Get That Barbie Look!